This weekend Omni Slots Casino will put a little bit of magic in your live with the Magic Slots Bonus. When making a deposit on Saturday or Sunday, you will receive an 25% bonus on your first deposit. Besides that, you will earn 10 extra Free Spins on the slot of the week on Monday. So make sure to deposit this weekend and receive your extra bonus money and Free Spins in your account! Besides some brand new bonuses Omni Slots Casino will also launch some new games soon. On the 24th of August they will launch Secrets of Atlantis by NetEnt! Besides that, Omni Slots will release two new Microgaming games on the 7th of September. Both titles, Jungle Jim and Dreams of Fortune, can be played on desktop or mobile. And at least, on the 22th of September Omni Slots will publish Motorhead by NetEnt. So keep an eye out and play the newest games with the iGaming industry! Omni Slots Casino is a brand belonging to DialInvest International N.V. which is based in the Curaçao. his relative new casino started in the year 2015 and the game portfolio is mainly focused on the best (mobile) video slots. That’s why there motto is ‘’Keep op Spinning!’’. Never played at Omni Slots before? 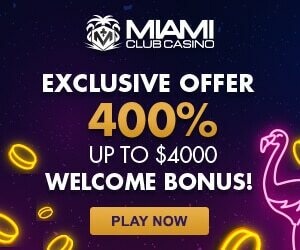 Sign up now and receive a great 100% Welcome Bonus including 50 Free Spins! Visit Omni Slots here and play the new casino games by NetEnt and Microgaming soon!